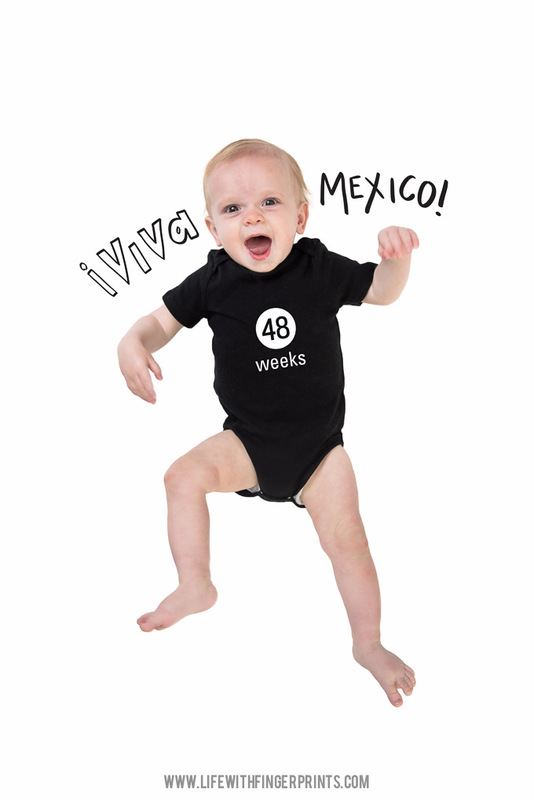 48 weeks and he’s left the country! He slept, he ate, he cried, he crawled through the sand. That is living it up in the baby world. We were nervous to have him sleeping in our room since he hasn’t been sleeping well lately. Luckily, the closet was just large enough to fit a port-a-crib. It was dark, it was quiet and he slept like a champ the whole time we were there. And he’s cutting two upper teeth. Bring on the tacos!